Herb garden plants, and specifically knowing the right medicinal herbs to grow can be a boon to the self reliant. 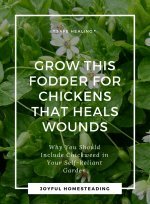 After all, what could be better than to avoid drugs by growing your own herbs in your own garden for healing minor medical complaints? 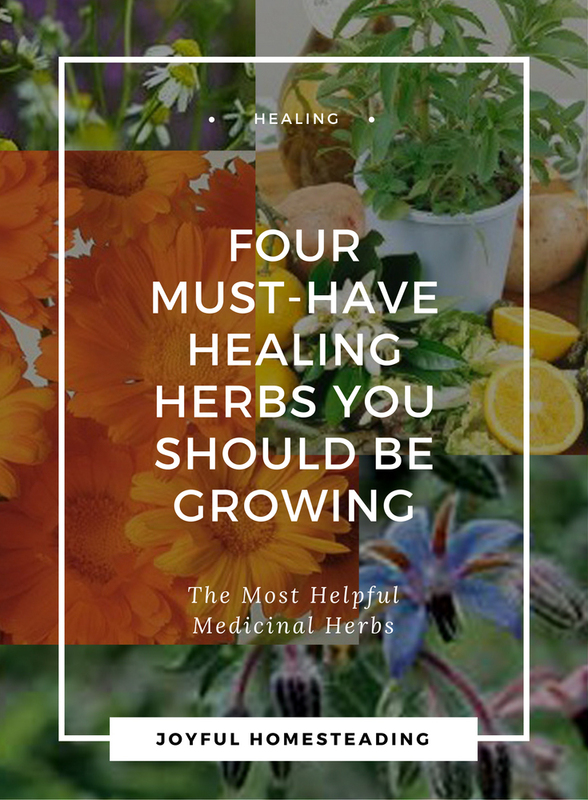 There are a lot more medicinal herb plants out there than the ones I have listed here; heck, I could do an entire website on healing herbs alone! But even so, some medicinal herbs are more useful than others, while others, such as calendula, pictured to right, are downright essential. 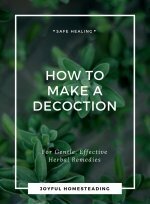 So with that in mind, here are four must-have healing herbs you may want in your homestead garden to avoid expensive visits to the doctor, and to promote natural, self-reliant healing. This wonderful plant is a delightful part of any herb garden plants collection. Bergamot is native to the United States and was used by native Americans as a tea. The flowers are dark pink, red and purple and smell of oranges or lemon - if you have lemon bergamot. They also attract bees, a real plus for a productive garden. Bergamot is a perennial and grows best in soil that stays damp in the summer. It won't do well in soils that are chalky. It prefers sun but will also grow in shady areas, as long as the soil is damp. It also likes bone meal. If you're an urban homesteader, this is the plant for you; bergamot is great for container gardening. Looking for lemon bergamot seeds? Find them here. Both the leaves and flowers of bergamot are edible. The leaves can be used either fresh or dried and have a flavor similar to thyme. You can also use the leaves to make tea. Bergamot is good for helping with digestion. It can also help relieve cold symptoms and a sore throat. Bergamot essential oil can be used to scent soaps and lotions. Borage is a lovely herb to look at. The flowers are bright blue and star-shaped. Borage loves a rich soil and full sun. Also, the wind will knock it over pretty easily, so it needs wind protection. 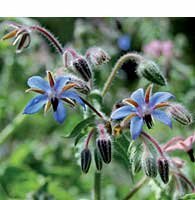 Once it is established, borage will reseed itself. Plant your tomatoes next to your borage bed - it will improve the flavor of your tomatoes. The flowers are also excellent for encouraging bees. 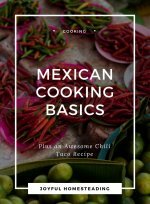 You should harvest the leaves just before using them. The dried leaves don't have nearly the flavor of the fresh ones. Use fresh borage leaves to make tea. Borage can help reduce fevers, relieve symptoms of bronchial tract infections and help heal mouth and throat infections. It helps clear your skin and promote healthy skin growth. It can also balance hormones, eases both depression and inflammation and works as a mild sedative. Caution: don't use borage if you are prone to developing kidney stones. You can find borage seeds here. Calendula is one of the more well-known herbs, and it is definitely one of the best medicinal herbs to grow. It usually an annual that grows from one to three feet all. 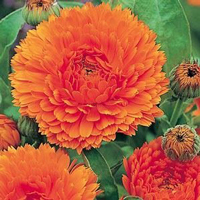 Calendula flowers can be orange or yellow and resemble a cheery drawing of the sun. 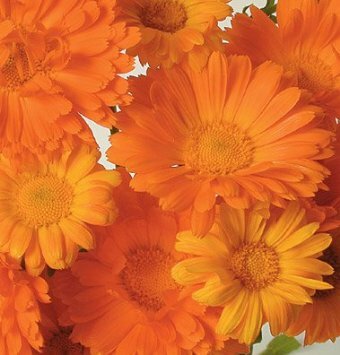 You use calendula flowers either fresh or dried. These herb garden plants are easily grown from seed and can be sown directly in the garden in early spring or early summer. You must water them regularly. They will start producing flowers about 40 to 50 days after the seeds germinate. Harvest it in the late morning, after the dew dries. Pick the flowers off as soon as they have a nice bloom. Spread the flowers on a screen to dry in the shade. Turn them several times daily. You can also dry them in a dehydrator. As soon as the flowers are dry, store them in plastic bags or glass jars. You can make a paste out of the fresh flowers by adding them to a blender with a little water. Calendula has been used for years to heal wounds and soothe irritated skin. 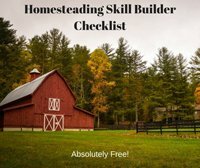 You can find calendula seeds here. Some herb garden plants are more beloved and well known than others, and chamomile has been loved and respected since Egyptian times. This perennial plant has a feathery appearance, is low-growing and tends to creep its way across your garden beds. 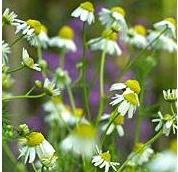 Harvest the chamomile flowers when the petals begin to turn back. A lot of work is involved, but the flavor of the fresh tea will be well worth it. Dry them with a dehydrator. The dried flowers will remain pungent for months. Chamomile tea helps soothe nerves and eases menstrual cramps. It promotes healthy hair and skin and provides better mental alertness. At the same time it is a safe and soothing sedative. 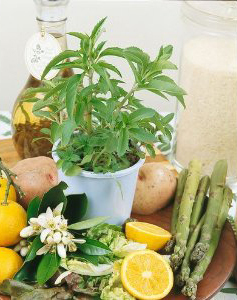 These herbs are safe enough to give to children for colds and indigestion. You can find German chamomile seeds here.